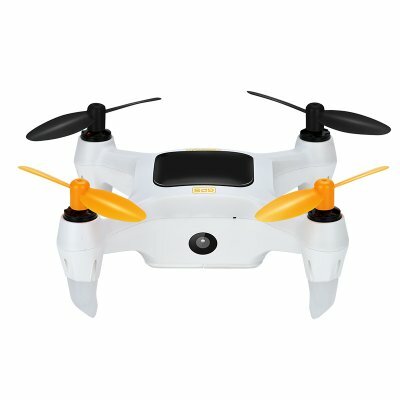 Successfully Added ONAGOfly 1 Plus Drone - 15MP Sony Camera, 1080p Video, Auto-Follow, App Control, 360-Degree Pictures, GPS Navigation to your Shopping Cart. Take off and conquer the skies with the small yet powerful ONAGOfly 1 Plus drone. This highly portable and light-weight drone can be easily carried around in your bag or suitcase, allowing you to take it with you no matter where you’re headed. Along with its stunning 15MP Sony camera, this quad-copter lets you shoot Full-HD 1080p video and stunning 15MP pictures – allowing you to discover your surroundings from an entirely new perspective. Being easy to operate and navigate, this ONAGOfly drone is the perfect cool electronic gadget for beginning drone pilots and advanced drone enthusiasts alike. No matter your skill, this quad-copter allows you to take off and enjoy countless hours of drone fun together with all your friends. Packing powerful BLDC motors, this quad-copter holds some serious power allowing you to fly long distances in high speed. With a reach of 50 meters, you’ll be able to fly to any place in your surroundings in just about no time. With its highly accurate GPS navigation system, this drone will always be able to find its way back to the controller, taking away the fear of ever losing track of your beloved device. Additionally, thanks to its compact size, high maneuverability, and easy operating controls - this drone can also be used for indoor use, allowing you to fly through your living room or office space. Featuring numerous control navigation features, this drone packs tons of fun and entertainment for beginning and advanced drone pilots alike. Take its auto-follow feature for example. Simply enable this feature and your drone will be locked on one person or moving object, automatically following it around and recording its every move with its stunning 15MP Sony camera. Additionally, this drone also supports 360-Degree video and photography – letting you take breathtaking 360-Degree pictures and video on any occasion. Thanks to its 900Ah battery, you’ll be able to enjoy all the cool features this quad-copter has to offer for 10 minutes continuously, brining along tons of fun. Coming with its own, free to download, mobile application, this ONAGOfly drone can be easily synchronized with your smartphone. From now on you’ll be able to watch live footage from your drone and instantly sync all the video and pictures taken with your stunning drone camera to your smartphone. Capture your surroundings from above, shoot stunning 360-Degree video, and share your recordings instantly with friends and family - with this camera drone nothing seems impossible. The ONAGOfly 1 Plus drone comes with a 12 months warranty, brought to you by the leader in electronic devices as well as wholesale electronic gadgets..